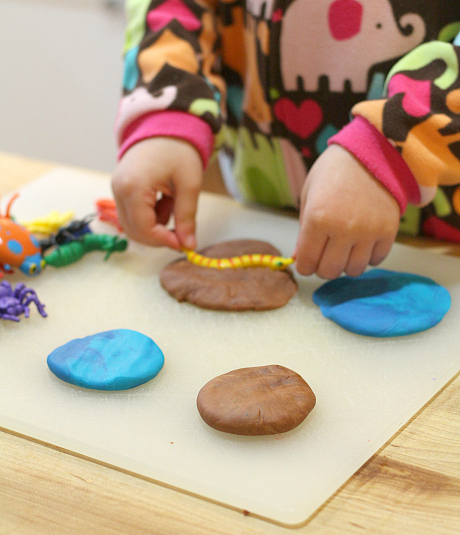 We love playing with playdough. 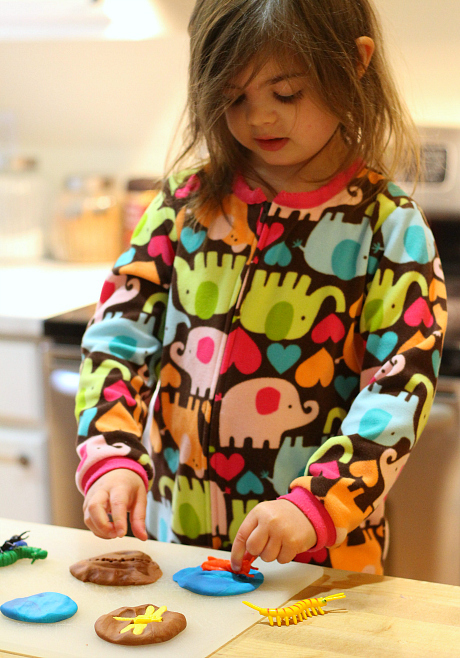 I think it would be a toss up between playdough and Duplo for which gets played with more at our house. This activity is not complicated but it was fun and kept my daughter super happy while we all battled stomach flu a few weeks ago. As a parent when you find something that is keeping a miserable child happy you roll with it. 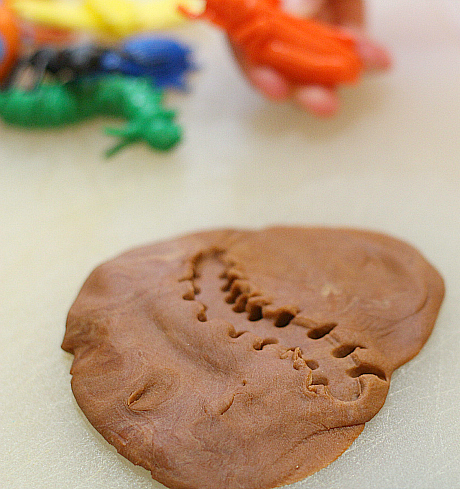 The trick seems to be really fantastic plastic bugs that leave very detailed imprints in the playdough. Ours were given to us years ago by a neighbor but here is an affiliate link to Amazon for the bugs if you want to check them out for yourself. Gather your materials. 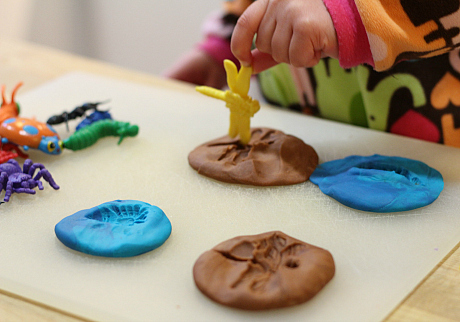 You will need some playdough, a cutting board ( we reserve one just for playdough) and plastic bugs. 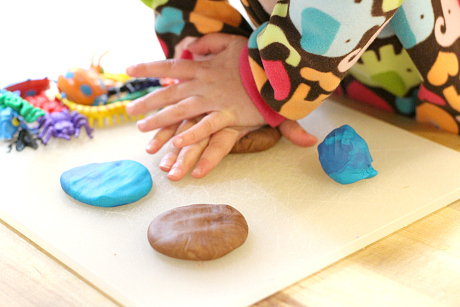 I set the playdough as small balls that are ready to be pressed into disks by my little one. Next she added the bugs and pressed them in. Then pulled them off and saw the imprint. repeat again and again and again. It’s not ground breaking but good gracious it’s FUN! 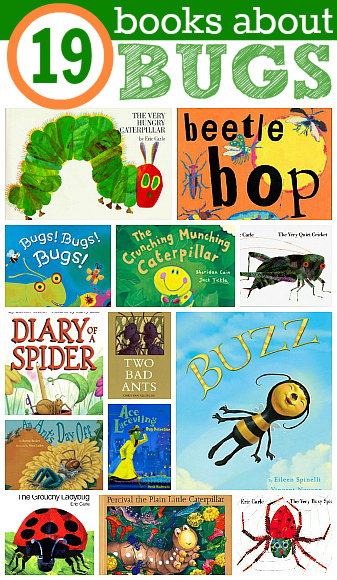 Add to the fun with books about bugs. Click through the image below for a great list. Those “not groundbreaking” ones are usually the favorites! 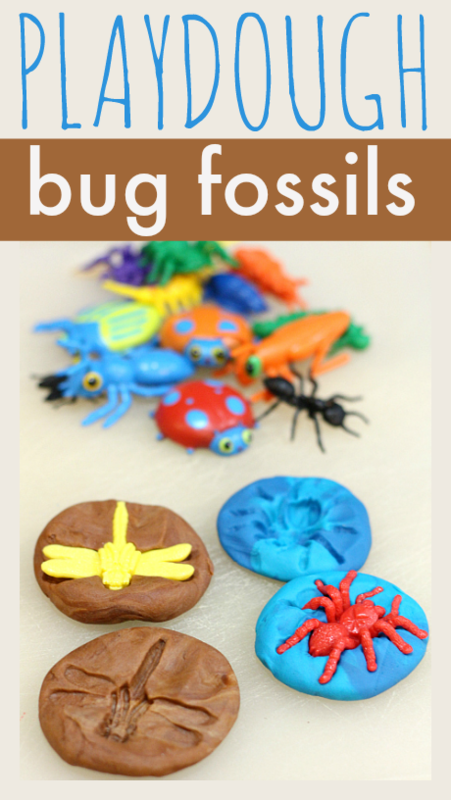 This is a great introduction to fossils too! 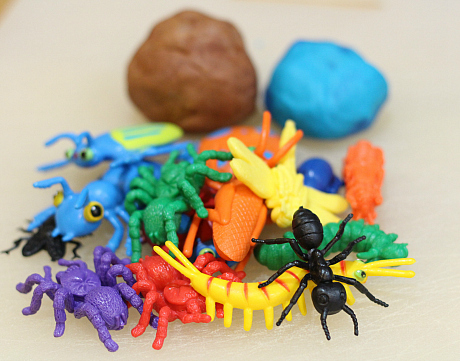 What a great use for all those bug and dino toys we have! Pinned and stumbled. My kids keep trying to do this with their Legos too! I’m pretty sure we just opened up a bag of insects…I bet I can distract them with this activity while I clean out the Legos! I did this a couple of weeks ago with white air clay. It became a two day art project. The first day we made our imprints and let them dry. I made small holes in the top of each one prior to drying. The 2nd day, we painted them. I put them on string and made cool necklaces, bracelets window charms. The kids loved them. 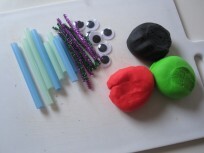 Will the play dough dry so kids can keep these or should I use another material? 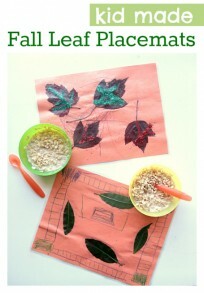 Using for an art camp activity so want them to be able to keep them. In that case I would use airdry clay, you can find it almost anywhere like Target and Walmart!